this has been my number 1 dispensary for a while now. They are always super nice when you walk in, making sure you feel comfortable getting your medicine. 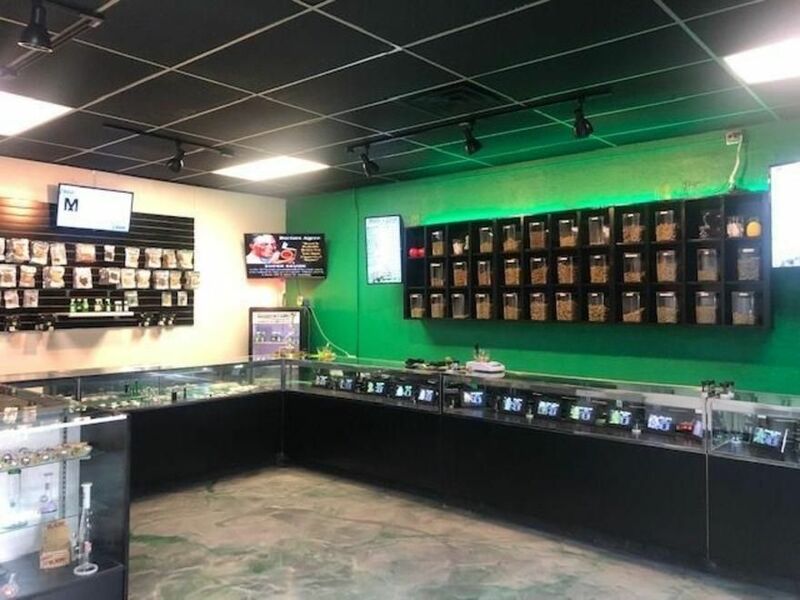 They have some of the best prices in the area compared to a lot of other dispensaries in the area. 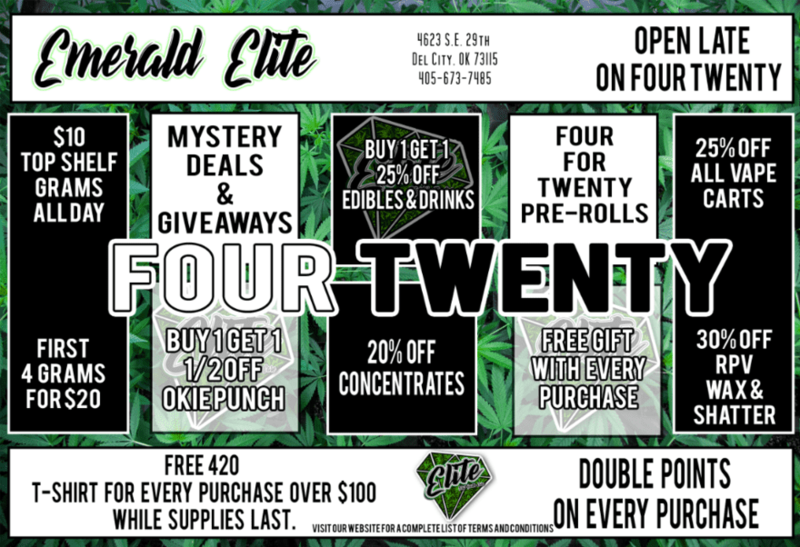 They also have one of the biggest selections I have seen yet and I have been to almost all the dispensaries in the del city and choctaw area. I highly recommend them and you wont be disappointed. Wayyy bigger than you’d think, actually the biggest selection I’ve seen yet. Flame buds. Nice pieces for all for a good price. Never write reviews but this Grape Ape got me feeling good! Great selection,knowledgable tenders,very modern feel and look,wedding cake shatter was great!!! Thank you for your support and taking notice of the little things! We appreciate your kind words! This fine family business is fantastic all around. I have been shopping here for several months now and have always left happy. Their flower is of the highest quality and the attendants are very helpful, kind, compassionate and knowledgeable. I got 5 clones today which are super-well grown, lush and HUGE for a most reasonable $20 each. I also sprang for some RSO and am without a glimmer of pain, which is a first in several years time. For those of you who are in chronic pain, try out Medicine Woman. Emerald Elite, thank you for being there for those of us who are in need! You are the exact reason we do what we do. Reading this review out load to my whole team had everyone tearin' up! Thank you so much for your support! I am so touched to hear that we had something to help you with your pain! It means the world to us to know that we are making this kind of effect on our community as it was our main goal! Thank you. Thank you so much for stoppping by and taking the time out of your day to leave us your kind words! It means the world to us! great place, very laid back and not pushy but very knowledegable about their products and friendly on top of that. I have bought flower, concentrates and clones from them. they have a good selection of clones at descent prices and they gave me a great deal on a lil wifi plant theyd had a while that looked a lil weak and punny, hope she comes out of it but ill take a chancw on her for $5. I personally go out of my way to go to this dispensary. Thank you so much for stopping by an dropping us a line. We really appreciate your support it means the world to us! Thank you again so much! Thank you Janice for stopping by and for taking the time to drop us a line! We are so glad to hear that Trevor was awesome! We will see you again soon! THank yuo! Was made very welcomed when my wife and i visited earlier today! Bought a couple of Skunk preroles and must say was impressed!! I will definitely be back for more!!! So glad you stopped by and enjoy the skunk pre-rolls! Thank you for you kind words!